The company is a prominent Manufacturer, Exporter and Supplier of Shearing Knives in Mumbai. The Shearing Knives are made from a special analysis high carbon high chrome tool steel. Custom made to fit specific requirements to assure maximum cutting life, the exclusive Shearing Knives are made heat treating methods using automatic electrically controlled furnaces. The production processes impart uniform hardness throughout the blades of the Shearing Knives. 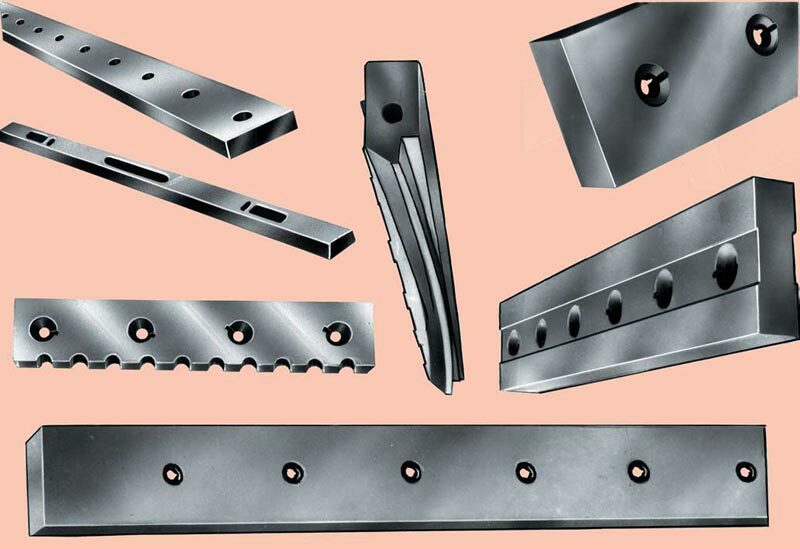 In production shearing, this uniformity of metallurgical structure provides keen cutting and a service life well beyond that of ordinary blades. Application : For shearing sheets up to & including 6 mm mild steel (63,000 PSI) or its equivalent in tensile strength. Standard : Various sizes as per the drawing of the customers. We make Shear Blades and other Straight Knives up to 4000 mm or 160 inches long to meet every application. Material : AISI-D2 / AISI-S1 or as per the requirement.